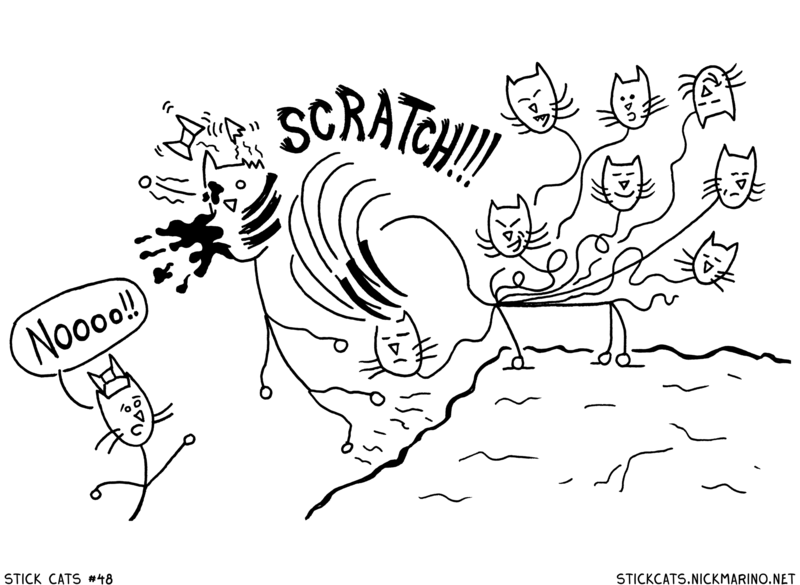 In the print version of Stick Cats #3 - Act 0, this splash is actually a double-page spread straddling the center of the super-short story. My blog width sorta kills the majesty of it compared to the previous pages, so make sure you click on the image to get the full effect of the Octo-Kitty clawing Amazonia in her kitten face! !